Great trumpet player, Albert Aarons (also known as Al Aarons) was born on March 23rd, 1932 in Pittsburgh, Pennsylvania. He started studying trumpet when he was 15, moving to Detroit in 1955. 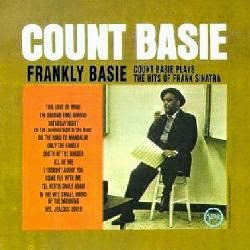 He was in the Wild Bill Davis Group when he was spotted by Count Basie, who asked him to join his orchestra. 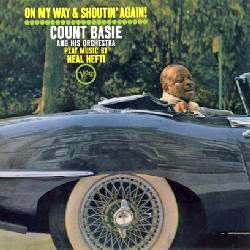 Aarons stayed with Basie from 1961 to 1969. After that, Albert Aarons moved to LA, starting his work for TV. Albert Aarons was one of the founders of the Legend record label, along with Buddy Collette and Red Callender. A live album was released that same year, Sinatra at the Sands. Francisco Aguabella, Trigger Alpert, Vic Ash, Count Basie, Chuck Berghofer, Billy Byers, Pete Candoli, Henderson Chambers, Sonny Cohn, Don Costa, Irv Cottler, Wallace Davenport, Eddie ´Lockjaw´ Davis, Eric Dixon, Harry ´Sweets´ Edison, Tony Fisher, Charlie Fowlkes, Freddie Green, Al Grey, Sol Gubin, Phil Guilbeau, Neal Hefti, Jim Hughart, Bill Hughes, Quincy Jones,... up to 44 musicians. Albert Aarons passed away on November 17th, 2015 in Laguna Woods, California. He was 83. Comments: Recorded live in August 1962. Comments: Recorded in January 1965. Comments: Recorded in December 1965. Comments: Recorded live in different concerts in January 1966 and February 1966. CD reissues contain different bonus tracks. 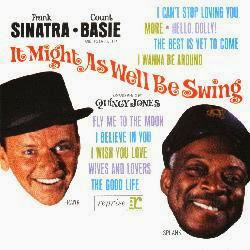 Comments: Recorded live in January and February 1966, when the orchestra also backed Frank Sinatra. 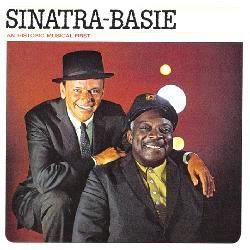 These were the opening numbers before Sinatra joined them onstage (hence the album title). Comments: DVD recorded live in Sweden in 1962. Comments: Recorded in November 1973. Comments: Recorded in March 1962. Comments: Recorded live in November 1989. Comments: Album recorded by James Brown with the Louie Bellson Orchestra, with Oliver Nelson conducting. John Audino, Benny Bailey, Louie Bellson, Herb Besson, Jimmy Bond, Michael Brecker, Randy Brecker, Hermann Breuer, Dean Brown, Red Callender, Conte Candoli, Billy Cobham, Joel DiBartolo, Harry ´Sweets´ Edison, Gene Estes, Rudi Fuesers, Herb Geller, Gil Goldstein, Bill Green, Thomas Grunwald, Milt Hinton, Frank Huggins, Howard Johnson, Tim Landers, Jennifer Leitham,... up to 46 musicians. Comments: Keef Hartley plays uncredited. Comments: Comedy spoken album by Albert Brooks, with some musical parts. 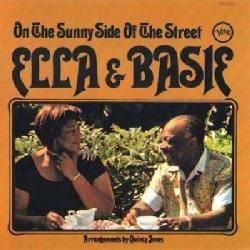 Vickie Anderson, Bob Bennett, James Brown, Bobby Byrd, Amy Christian, Carol Coleman, Robert Coleman, Joseph Collier, Bootsy Collins, Catfish Collins, Arthur Dickson, Hollie Farris, Clayton Fillyau, Kush Griffith, Clayton Gunnells, Lewis Hamlin, Martha High, Darryl Jamison, Tyrone Jefferson, Keith James Jenkins, Roosevelt Johnson, Ronald Laster, Hearlon Martin, Tiger Martin, Cynthia D Moore,... up to 42 musicians. Comments: Recorded in February 1973. Comments: Recorded in April and July 1976. Curtis Amy, Alvin Batiste, Pete Beltran, Steve Beskrone, Kenny Burrell, Roy Burrowes, Bruno Carr, Henderson Chambers, Ray Charles, Merry Clayton, Johnny Coles, Wallace Davenport, George Duvivier, Tom Fowler, Dizzy Gillespie, Susaye Greene, Phil Guilbeau, Steve Huffsteter, Roger Ingram, Charles Johnson, Keg Johnson, Blue Mitchell, Bob Odneal, Don Peake, Jeff Pevar,... up to 32 musicians. Steve Bach, Al Binkley, Randy Brecker, Robert Brookins, Darryl Brown, Gerry Brown, Larry Carlton, Eric Carter, Stanley Clarke, Billy Cobham, Brandy Cohan, Stewart Copeland, Dale Devoe, Bela Fleck, Mike Garson, Ray Gomez, Federico Gonzales Pena, Rayford Griffin, Al Harrison, Charles Johnson, Deron Johnson, Bob Malach, Marcus Miller, Najee, Sunnie Paxson,... up to 36 musicians. Trigger Alpert, Chico Alvarez, Vic Ash, Max Bennett, Ray Brown, Frank De La Rosa, Bobby Durham, Ella Fitzgerald, Tommy Flanagan, Ian Hamer, Jim Hughart, Gus Johnson, Jimmy Jones, Bobby Lamb, Stan Levey, Lou Levy, Joe Pass, Mickey Roker, Jimmy Rowles, Carl Saunders, Ronnie Scott, Jimmie Smith, Paul Smith, Ed Thigpen, Francis Williams,... up to 26 musicians. Comments: Recorded in October 1969. Comments: CD reissue from 1999 includes two unreleased live tracks. Teddy Andreadis, Jerry Angel, Gary Burr, Craig Doerge, Rob Galloway, Sherry Goffin, Rudy Guess, Bobbye Hall, Mark Hallman, Richard Hardy, Doyle Hough, Brie Howard, John Humphrey, Carole King, Robbie Kondor, Danny Kortchmar, Russ Kunkel, Charles Larkey, Linda Lawley, Bill Mason, Harvey Mason, Clarence McDonald, Robert McEntee, Danny Pelfrey, Miguel Rivera,... up to 29 musicians. Comments: Recorded live in the studio in different dates in May 1976. Comments: Soundtrack from the movie Lady sings the blues starring Diana Ross and Billy Dee Williams, with music by Michel Legrand. Gil Askey, Phil Baker, Gerry Brown, Kevin Chokan, John Collins, Steve Crum, Julie Delgado, Walt Fowler, Richie Garcia, La Tanya Hall, Marty Harris, Pepito Hernandez, Brenda Jones, Shirley Jones, Valorie Jones, Lynn Keller, Lynda Laurence, Moyes Lucas, Peter Magadini, Alec Milstein, George Mitchell, John Osborne, Scherrie Payne, Gene Pello, Mark Pender,... up to 43 musicians. Comments: Recorded in November 1978. Comments: The album is credited as Sarah Vaughan - Orchestra arranged and conducted by Michel Legrand. Chico Alvarez, Phil Bates, Joe Benjamin, Walter Booker, Patti Bown, Jimmy Cobb, Henry Coker, Wendell Culley, Joel DiBartolo, Charlie Fowlkes, Bill Graham, Johnny Griffith, Roy Haynes, Bill Hughes, Eddie Jones, Harold Jones, Jimmy Jones, Reunald Jones, Thad Jones, Lou Levy, Bob Maize, Joe Newman, Benny Powell, Waymon Reed, Marshal Royal,... up to 30 musicians.